According to a new trademark filing from Samsung, the company’s first ever foldable smartphone might be called the Galaxy Fold but details on its specifications are still being kept in the dark. Samsung hinted that the final product of its first foldable smartphone bearing the Infinity Flex Display may have a name bearing ‘Infinity’ or ‘Flex’ included. That might not be the case because according to the latest trademark filing, the Korean giant might call its first foldable handset the Galaxy Fold. A small demo was showcased at Samsung’s SDC 2018 keynote, revealing how the device would provide an improved interaction for users and how at the time it is completely unfolded, it could provide a tablet-sized experience. A new series called the Galaxy F was also suggested for Samsung’s upcoming device. However, the latest trademark filing might clear the confusion and provide us with more information. 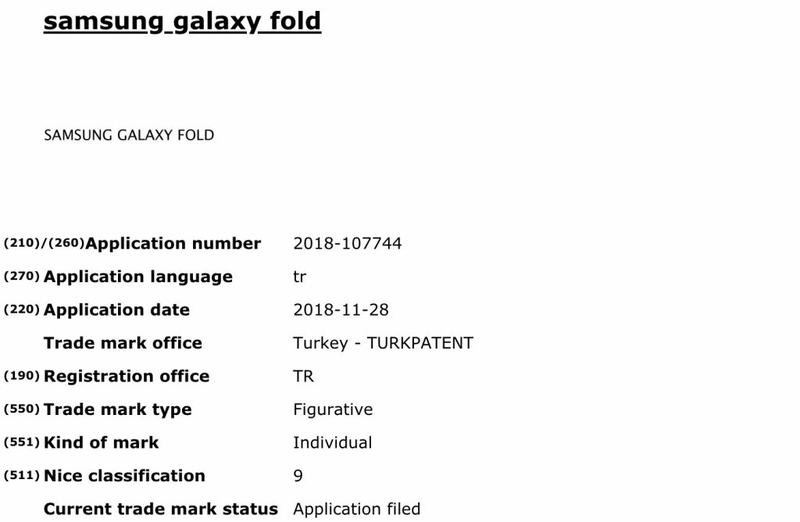 The trademark was filed just a few days ago, with the complete name being ‘Samsung Galaxy Fold’. If you read the description of the filing, Samsung could end up using this moniker for more than just smartphones. The list of goods mentioned under this trademark includes tablet computers, rechargeable batteries, wearables and smartphone accessories. This could mean Samsung is attempting to make an entire portfolio of foldable devices rather than limiting it to just smartphones. 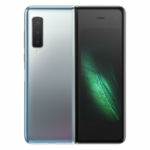 The technology giant even confirmed that the ‘Galaxy Fold’ handset would not belong to a niche market as it is going to be released globally next year. However, Samsung is not going to be the only manufacturer to introduce its version of a foldable device. 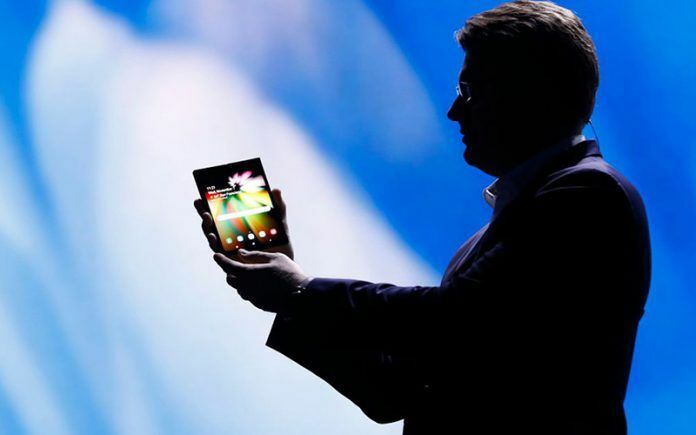 Huawei has said that it will launch a foldable smartphone that will also be 5G-ready, with OPPO expected to launch a similar handset during the MWC 2019 trade show. There was a wild rumor about Apple introducing a foldable iPhone in 2020, but since there have been no further developments related to that news, we’ll ignore it for now. 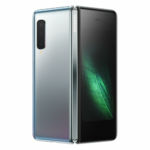 Samsung’s ‘Galaxy Fold’ smartphone might not belong to a specific niche, but that doesn’t mean it will be affordable. As per a recent update, the handset is expected to cost more than $2,000 (approximately INR 1,39,250), with Samsung reportedly limiting production to one million units, most likely to see how the market will react to a device bearing a unique form factor. The upcoming foldable smartphone will also come with Samsung’s improved Bixby 3.0 AI, so let us see if the increase in the rumored price will bring forth a more intelligent device to your pocket. Sadly, Samsung has not spilled the beans when it comes to the hardware of its foldable device. However, one could speculate that it will be fuelled by the Exynos 9820 as this will be the same chipset powering the upcoming Galaxy S10 lineup. With the SoC’s dedicated NPU, it could provide a better experience when it comes to the foldable device’s battery life, video consumption and productivity as it provides smoother loading of apps. Samsung might not want to use Qualcomm’s Snapdragon 8150 (or Snapdragon 855, as per the chipset’s final name) since it would prefer its own silicon running inside what could be the most significant breakthrough for the company’s smartphone division in a long time. Google recently announced that its next Android update would provide native support for foldable phones, and Samsung is also finalising the development of One UI, an interface that is tailor-made for the Galaxy Fold and newer phones with full-screen displays. There’s a lot to be excited about and we’re confident that 2019 is going to be an innovate year for mobile phones. After you’re finished reading the latest news about Samsung’s Galaxy Fold, you can check out our video review of the Galaxy Note 9 (Review), which is the company’s best flagship to date. 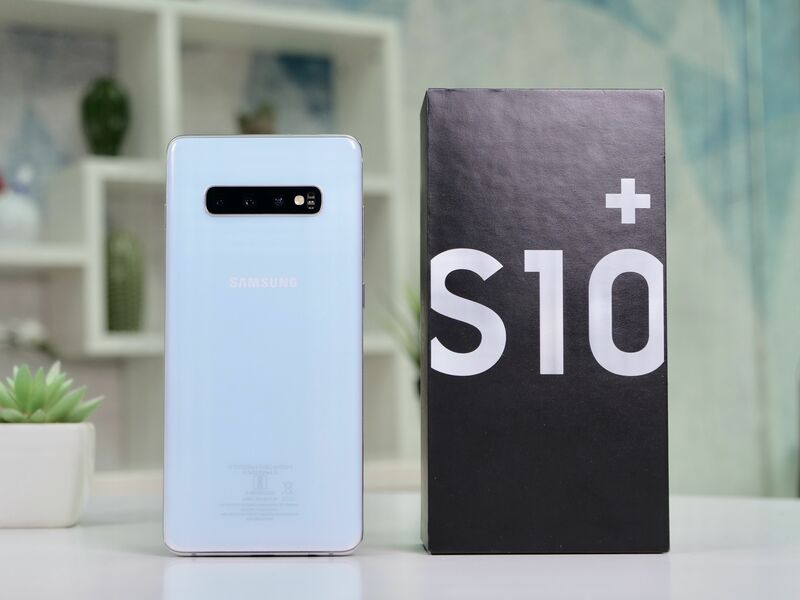 If you cannot wait for the Galaxy S10, you can pick this one up right away.